Once upon a time, there was a Pink Dot that wanted to be normal. It wasn’t that she had three eyes. It wasn’t that she had two heads. It’s just that she was a little different than the rest of her friends. You see, Pink Dot was a painter. She loved painting with all kinds of colors. But her favorite color was yellow, and she used it in all her paintings. The only problem was that some of her friends thought she was weird because she spent so many hours painting. Some made fun of her. Pink Dot felt that no one understood her! But she never stopped painting. But sometimes…just every so often…she wondered if she was weird. Maybe, if she didn’t paint so much, she could have more friends. Maybe, if she didn’t paint so much, she could be just like everybody else. Maybe, if she didn’t paint so much, she could be normal. One day, Pink Dot visited her best friend, Blue Dot. She explained that she felt sad because everybody else thought she was different. “But, you are different!” the Blue Dot replied. That was not what the Pink Dot wanted to hear! That’s how the Pink Dot learned that being a painter was something special. And maybe…just maybe…that’s how the Pink Dot began to fall in love with the Blue Dot. ALL IMAGES within the ©2015 Blue Dot & Friends section are not for public use. 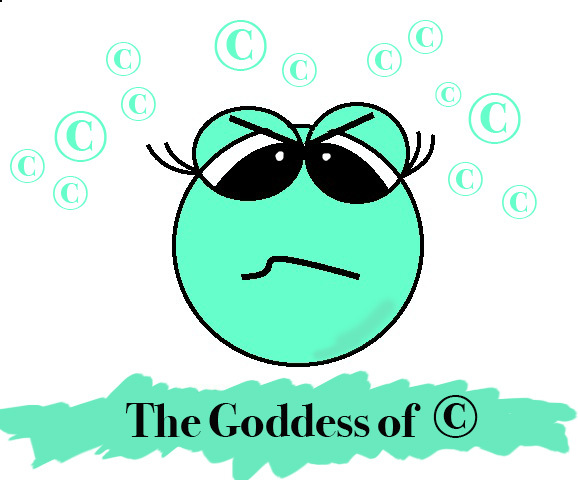 Should you try to copy my stories or illustrations, I will be forced to send the Copyright goddess upon you. Tags: Blue Dot, Children Stories, Pink Dot, Pink Dot Paints Starry Night, Starry Night, Sunflower Van Gogh, Van Gogh Cartoon Paintings. Bookmark the permalink.